I quit my office job almost exactly three years ago and have been working from “home” ever since. Transitioning from the regulated world of office work to the self-directed world of freelancing has been harder than I ever expected it would be. Sure, I can now work in my pajamas if I choose to and the commute is way less stressful, but there are plenty of other things I’ve had to work out along the way that would never have been an issue when I was doing the 9-5. 1. Always be sure to put on your “outside clothes,” even if you’re not going outside. I know that “I work in my pajamas!” is one of those braggy things that people who work from home always say but I make a point to not work in my pajamas. That’s because clothing is one of those subtle things that tricks our mind into focusing on what we’re doing. Wear workout clothes when you’re working out. Wear work clothes when you’re working. 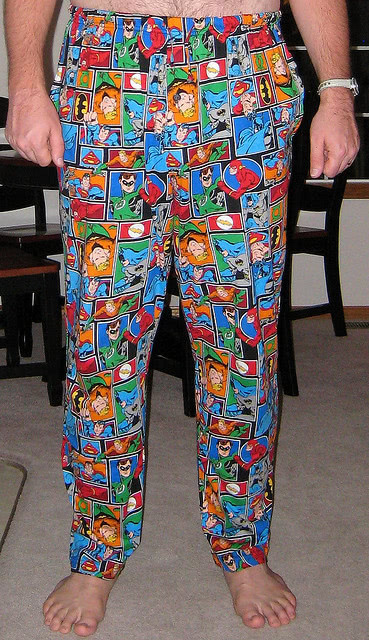 Wear pajamas when you’re relaxing. See how much that makes sense? This is not acceptable work clothing, even if you work from home. 2. Actually, make sure you do go outside. A friend who’s new to freelancing recently messaged me about the fact that he was kind of losing it from not talking to anyone all day. While Facebook and the other 45,254 messengers we have provide a virtual water cooler for us homeworkers, nothing replaces real face to face contact and talking with our, you know, voices. I often find myself itching to go interact with anyone at the end of the day, even if it’s just the cashier at my local supermarket. I told my friend that he needed to force himself to be social and suggested he look up local meetups, join a casual sports team, and go to events by himself so that he’s forced to talk to people. This is advice I frequently forget to follow myself and then wonder why I’m feeling so irritable after two days in a row shut up inside. 3. Get off the damn couch. When you’re commuting to an office, some exercise is worked into your day even if it’s only walking to and from your car. When your “office” is your couch, your steps daily are obviously drastically reduced. 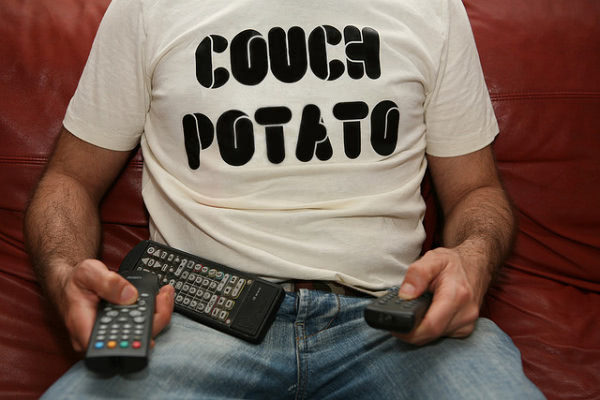 Scheduling some time to workout is essential if you don’t want to put on those extra couch-potato pounds. It will also keep you from getting lethargic, a real danger when you’re staring a computer screen all day. Get off the couch! Up! Up! 4. To-do lists will save your life. A big part of both freelancing and running a startup is that there are always a million different things you could and should be doing at once. I use Trello to keep track of all of my daily tasks as well as bigger picture stuff for specific projects. It’s so great that my startup founder boyfriend and I even use it to manage our love life. 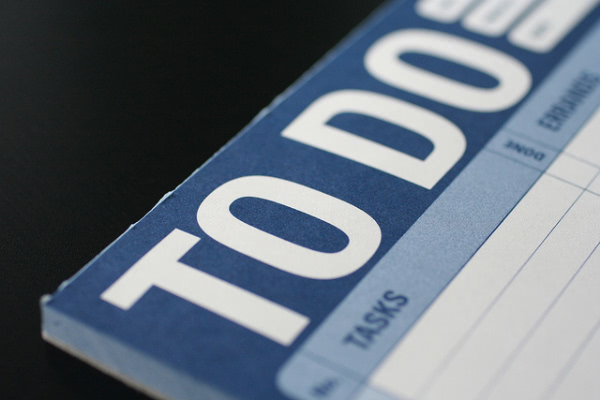 Keep on track with an organized to-do list. While I love stretching out on my couch to get work done, sometimes it’s just too distracting to actually work at home. 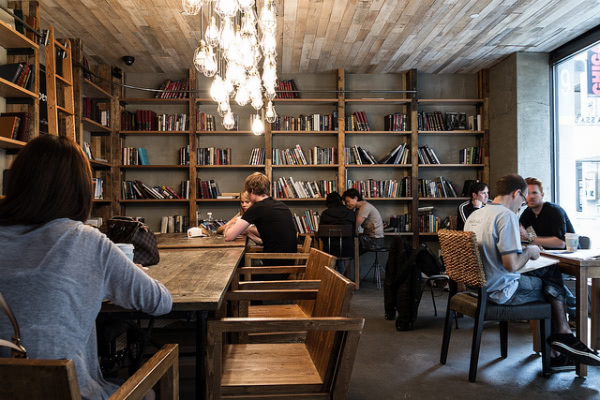 Coffee shops are the obvious go-to for people looking for a change of scenery but don’t be a jerk about it: buy plenty of things from them and don’t take up more space that you really need. If the wifi isn’t working, remember that the coffee shop does not actually exist to be your office and leave the poor baristas alone. Coffee shops are great workspaces but please, be polite. You should also consider renting at least the minimum amount of time in a local coworking space or teaming up with friends who also work from home and coworking at each other’s apartments. If none of these suggestions are doable (like if you live way off in the forest or something) work in a different room every other day. Changing the scenery can make all the difference. Seriously guys, this may be the last thing in this post but it’s probably number one in my personal rules for people who work from home. When you don’t have an office to go to, it’s all too easy to fall into the routine of working every possible waking hour. While you might like working all the time (Hello, my name is Emma, and I’m a workaholic), that kind of schedule is simply not sustainable. I had a breakdown earlier this week. I couldn’t write anything, not even tweets. I felt stupid and uncreative and while I cried over my lunch my boyfriend asked me how much I’d been writing. I thought about it for a minute and realized that I’d been consistently writing 15 to 20 blog posts per week. With that much output, my boyfriend pointed out that it was amazing I hadn’t lost it earlier. Writing is creative work and creativity is not a bottomless well for most of us. The same goes for the majority of online work, be it design or social media management: you have to give your brain time to rest. Even kitties need cat naps! While working from home has been rewarding to the point where I can’t even imagine surviving the confines of an office ever again, I still struggle with all of these things every day, if not every hour. Working from home is not as easy as all of those cheesy ads would have you believe but if you keep these rules in mind, it can be just a little bit more manageable.